"Guar hide is cured to make guar leather, used in native clothing, armors, and household goods." 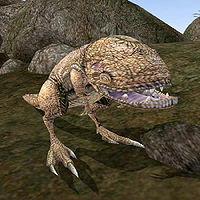 Guar Hide is acquired by slaughtering Guars, either feral or domestic. 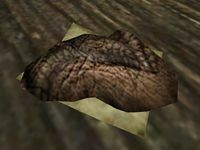 There are two special kinds of Guar Hide, "Girith's Guar Hide" and "Marsus' Guar Hide" (IDs:ingred_guar_hide_girith and ingred_guar_hide_marsus), different only in name, which are needed for two specific quests, Girith's Stolen Hides and Marsus Tullius' Missing Hides. These can be mixed with regular Guar Hides or with each other and produce a potion with the first three of the four effects. (The Fortify Luck, being the second Fortify Attribute effect, will not be given.) However, this will make it impossible to complete the associated quests. This page was last modified on 29 January 2019, at 07:42.